^^I know it's a common practice to give high fives after free throws, but these youth endlessly impress. I found out that one of our young men brought a non-member friend from school to come play church ball, but since this friend played on the varsity team he wasn't "allowed" to play. It was decided that his friend would still play, but that the team would forfeit after the game. The young men, leaders and bishop thought it was more important to involve the non-member and forfeit than exclude and lose an opportunity for fellowship. ^^playing in the snow before preschool. 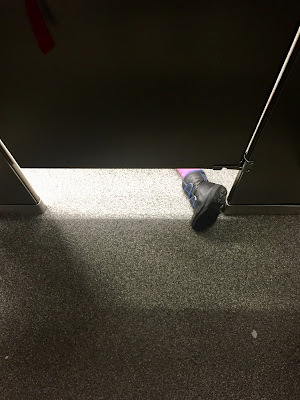 ^^all I could catch of Macey crawling under my bathroom stall at Costco. 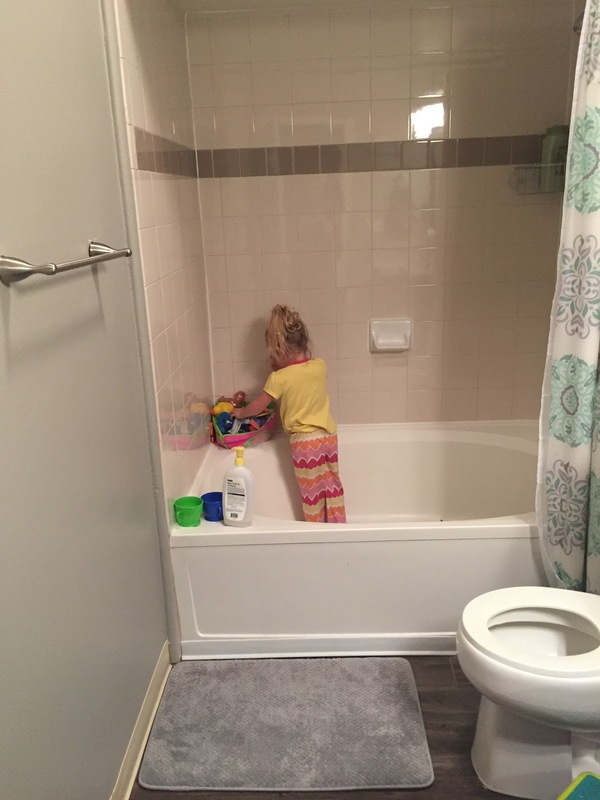 She requests to go to the bathroom all by herself, including her own stall and locks it behind her. It caught me off guard to see her head pop up under the door while I was doing my business. 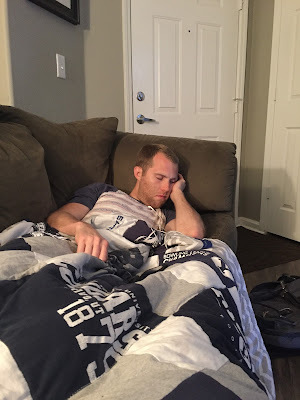 Cute pictures of Macey and McKay, definitely IMPRESSIVE YM, and do I still see a beard on a certain sleeping sports fan? So sorry, Erica.